Limb lengthening and deformity correction is a very complicated process. Meticulous surgical technique, vigilant follow up, and aggressive rehabilitation are required for a successful outcome. The results of lengthening are highly dependent on the experience of the surgeon and his surrounding clinical staff. A more experienced surgeon knows how best to perform the surgery and knows how to prevent and treat complications so that there is no residual problem at the end of treatment. Dr. Paley has been performing lengthening procedures for over twenty-five years. He has performed thousands of lengthening surgeries and he has advanced the scientific understanding of lengthening and deformity correction multiple times throughout his career. He is currently the most experienced limb lengthening surgeon in the world, having performed over 17,000 lengthening surgeries. The Paley Advanced Limb Lengthening Institute in West Palm Beach, Florida, offers patients the most technologically advanced limb lengthening and deformity correction surgeries available as well as comprehensive care from an experienced team of professionals. Daily physical therapy is a requirement for a successful lengthening. The Paley Institute includes its own on-site rehabilitation department. All of our physical therapists have been extensively trained on the unique therapy requirements for lengthening patients. In addition to daily physical therapy, lengthening requires close clinical follow up. 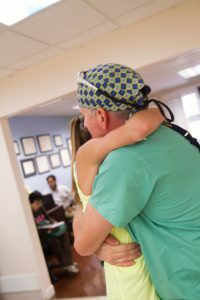 Appointments are scheduled every two weeks, staffed by Dr. Paley and his physician assistants on an alternate schedule. A trained, experienced clinical staff is necessary for a successful lengthening. For more information, please see Patient Resources.